If you work in an area of the world where winters are harsh, then you have probably experienced difficulty charging a system due to low refrigerant tank pressure. Refrigerant tank pressure is directly related to the ambient temperature surrounding the vessel. For example, R404a at 75 degrees Fahrenheit is 162 PSI, R404a at 10 degrees Fahrenheit is 44 PSI. As many of us have experienced, refrigerant will flow into a system much quicker with relatively high tank pressures. Some have plunged tanks into buckets of hot water to raise the pressure, but the problem with this method is that the water loses heat very quickly. It is not recommended to torch any pressurized vessel in an attempt to raise the pressure, this can be a dangerous undertaking. 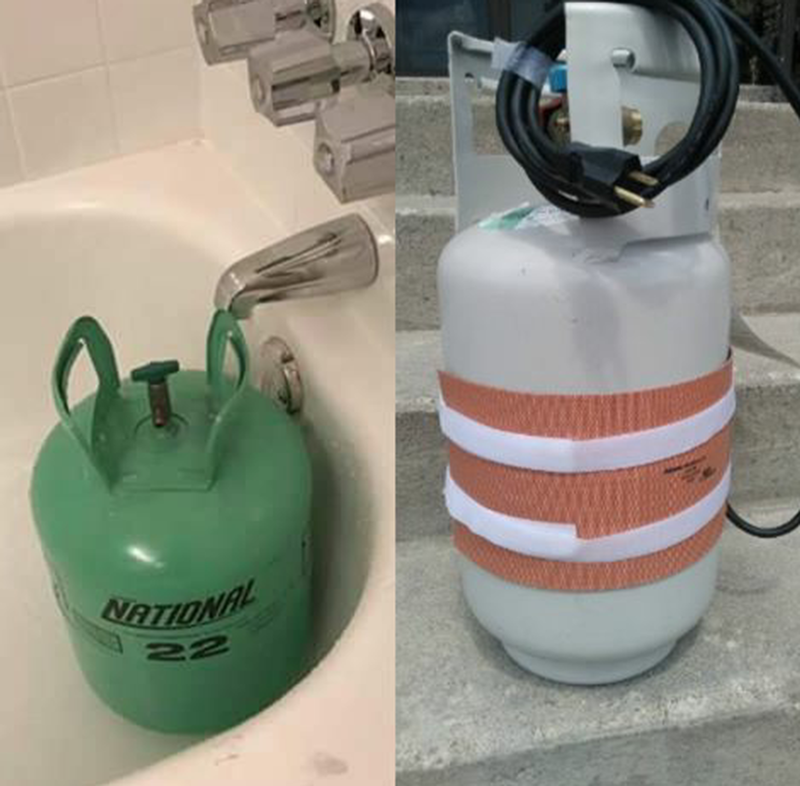 Using a tank heater, such as the Yellow Jacket Wrap - Around Heater, will ensure the tank will heat up quickly and keep it's internal pressures elevated for ease of charging in cold ambient conditions. The 200 Watt heater utilizes a built in thermostat to maintain a tank surface temperature of no greater than 130 degrees Fahrenheit. Check out the video for a live demonstration.